50 Days for Eurovision 2019! Just 50 days left for the great final of the Eurovision Song Contest! This year, the festival will take place between the welcome event taking place the 14th of May and the Grand final of the contest taking place the 18th of May in Tel Aviv (Israel), and a total of 41 countries will participate in it. Top50world offers you the possibility to know them one by one, posting every day one of them on our social network starting the 30 of March and ending two weeks before the grand final of the event (when rehearsals for the contest begins). You can add us on Instagram , Twitter or Facebook for having further information and follow all news about our Eurovision Polls. Don't forget to vote for your preferred candidate to win this year contest on the form below this entry. You can do it for several of your favourite artists. 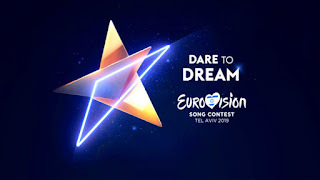 If you want to know about all the participants for the Eurovision Song Contest 2019, just go to the Top50world Eurovision 2019 ! Let's Eurovision Song Contest 2019 begins!! !